A 6 tier cake which comprised of 6 individual layers with a pillared set-up. 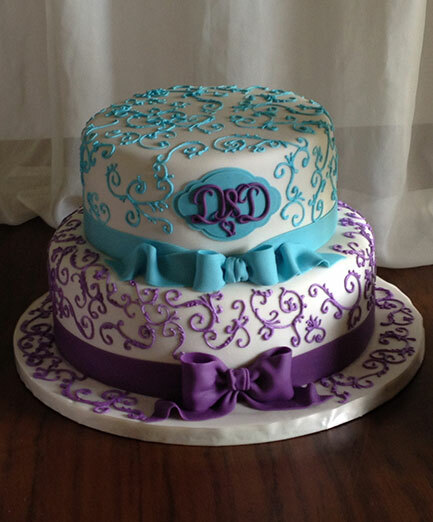 Beautiful scroll work covered all the layers which was trimmed with sweet ribbons and bows. Handmade monogram featured the couple's double D's.